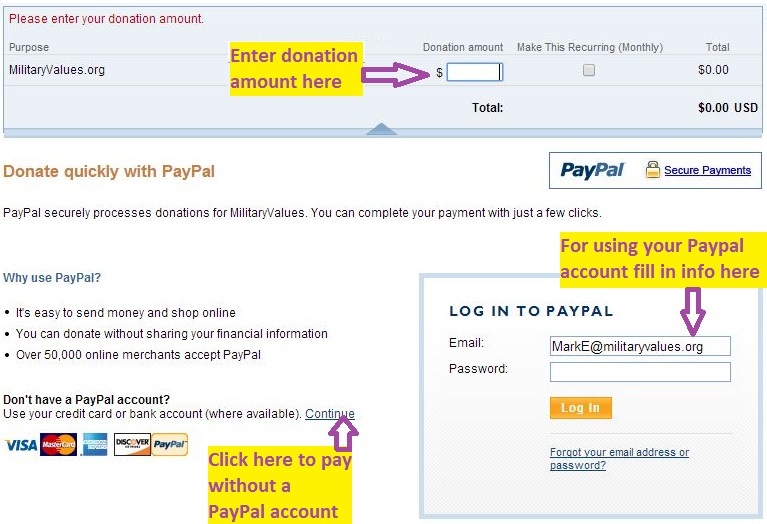 To contribute to MilitaryValues.org please select the Donate button below. It will open a new window and lead you to a form that requests the donation amount and then you can pay through your credit card or a PayPal account (per the diagram below). MilitaryValues.org has a tax exempt status under Section 501 (c) (3) of the Internal Revenue Code. Thank you. MilitaryValues.org has a tax exempt status under Section 501 (c) (3) of the Internal Revenue Code.